Love is in the air! Is that loving feeling being hampered by the frustrations of finding the perfect gift? We have you covered with this year’s Valentine’s Day Top 10! Read on to find out our picks for the perfect gifts to help express your feelings of love this Valentine’s Day. The perfect gift has as much to do with the thought put into it as it does the gift itself. Jewelry is a very personal gift. 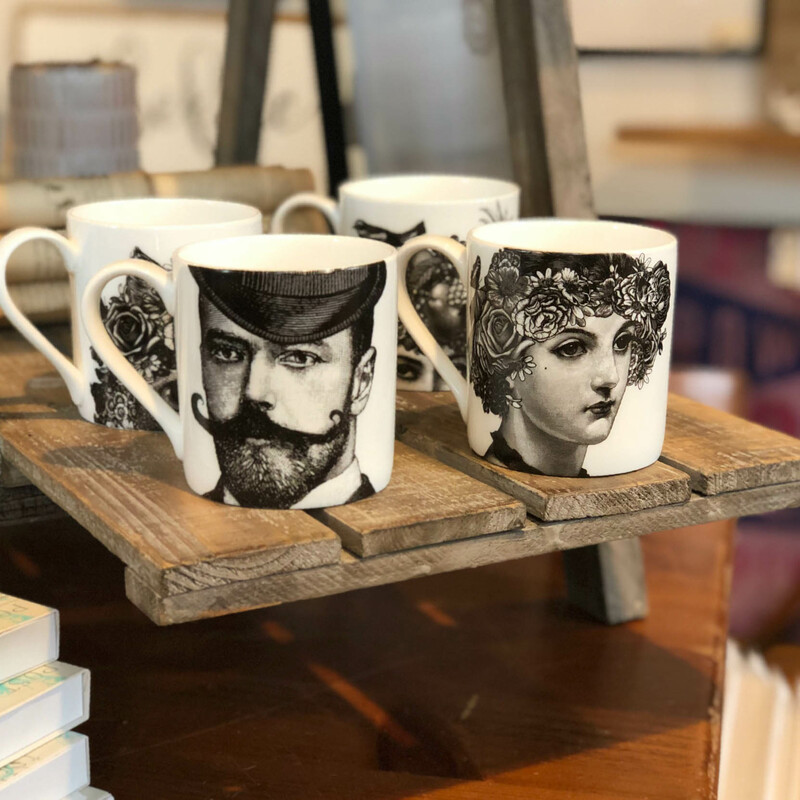 Finding a piece that expresses a meaningful sentiment is a wonderful way to let your loved one know that they took the time to find something they believe would be significant to them. 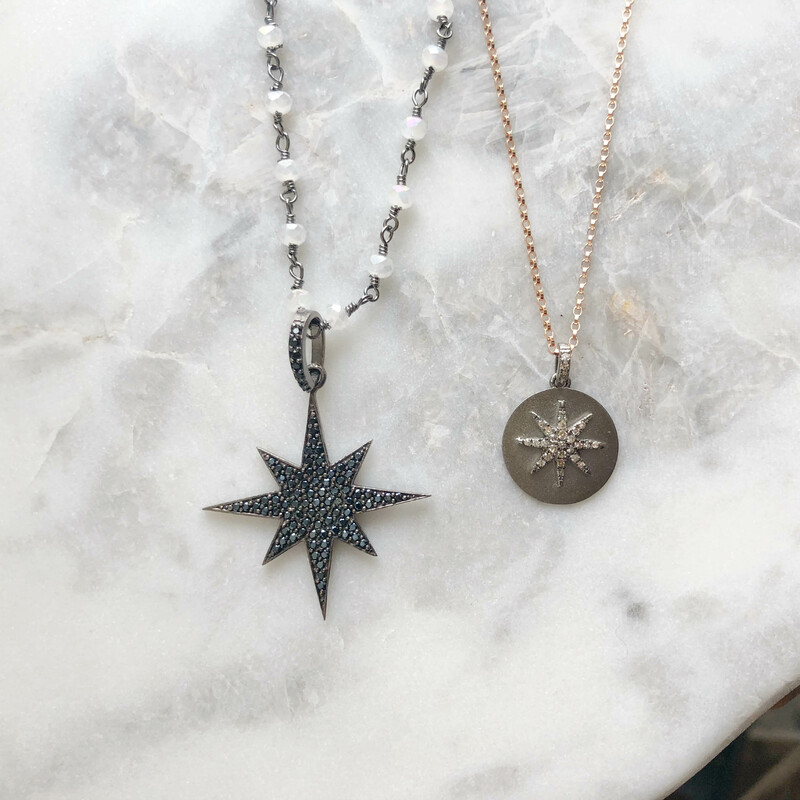 We love both our talismans and Compass Rose collections to help bring meaning to a beautiful piece of jewelry. Our Pyrrha talismans are handmade from antique wax seals and use heraldry to represent different sentiments and ideals. 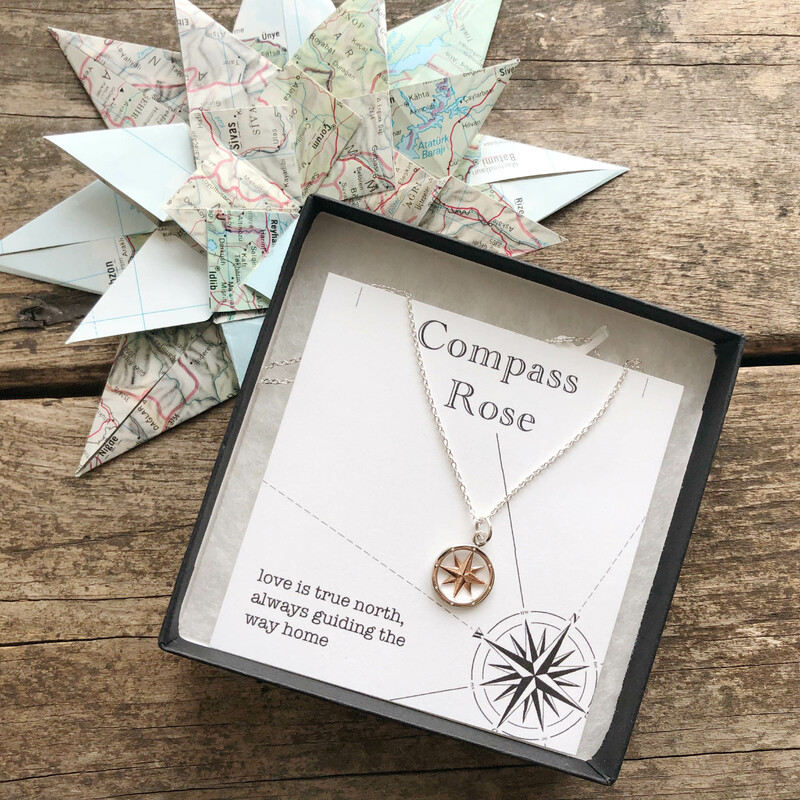 Compass Rose impresses upon the wearer the joy of finding a person who is the steady star that helps them navigate their way through life. 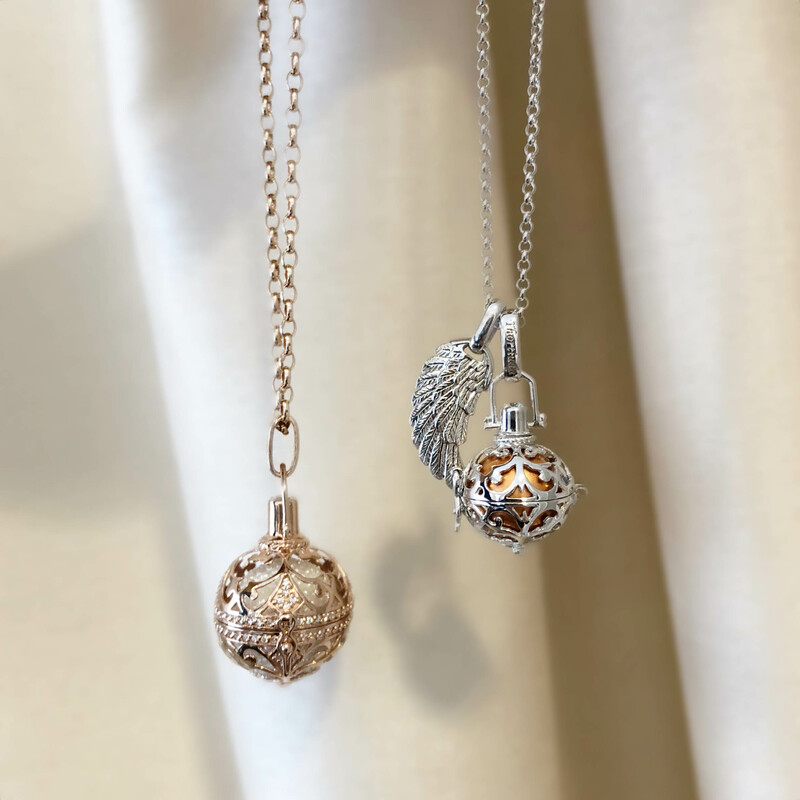 Left Picture: Swallow talisman ($65), representing love and loyalty, Pyrrha Hummingbird talisman ($163), representing joy and light, Honey Love bee necklace ($64), and Pyrrha Mermaid talisman ($198), representing beauty and femininity. 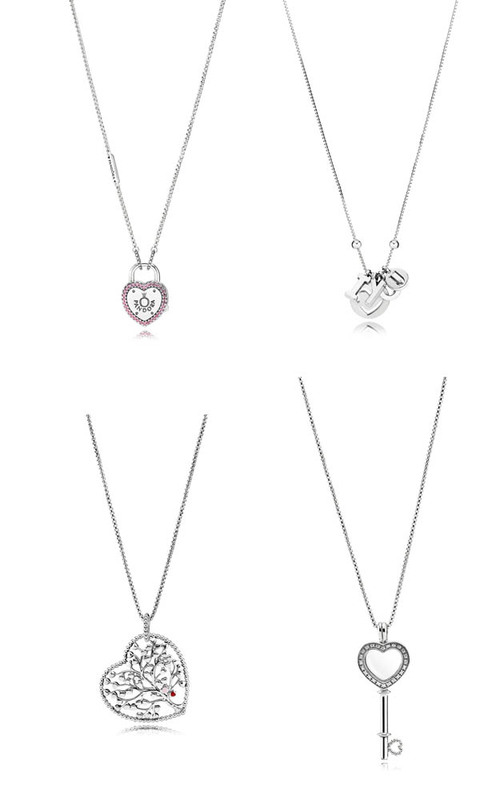 We also love Brighton’s new Love Lockets line as a sentimental gift. These shining lockets come in a wide variety of sizes and lengths. 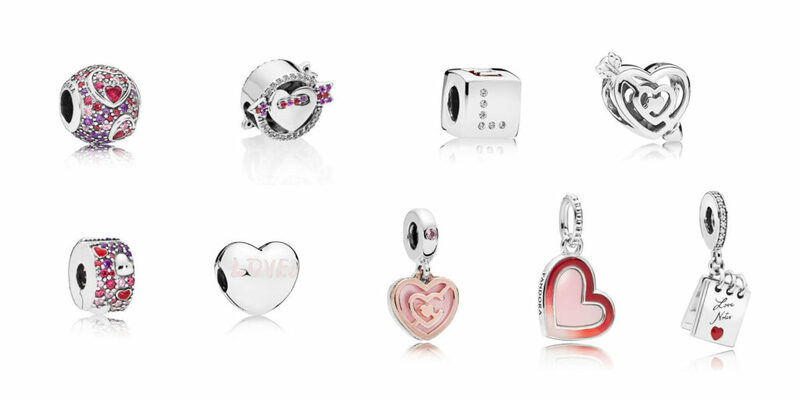 Many of them feature Brighton’s signature heart- perfect for Valentine’s Day! 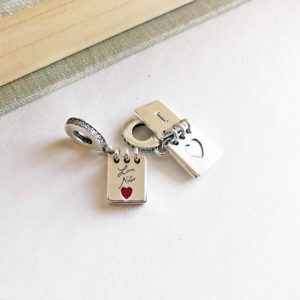 Best of all- we can print a photo from your phone while you wait and install it in the locket for you! Jewelry that symbolize the everlasting nature of love is always a hit on Valentine’s Day. While hearts have always been the go-to symbol to exemplify love, it is always nice to find something new and fresh. 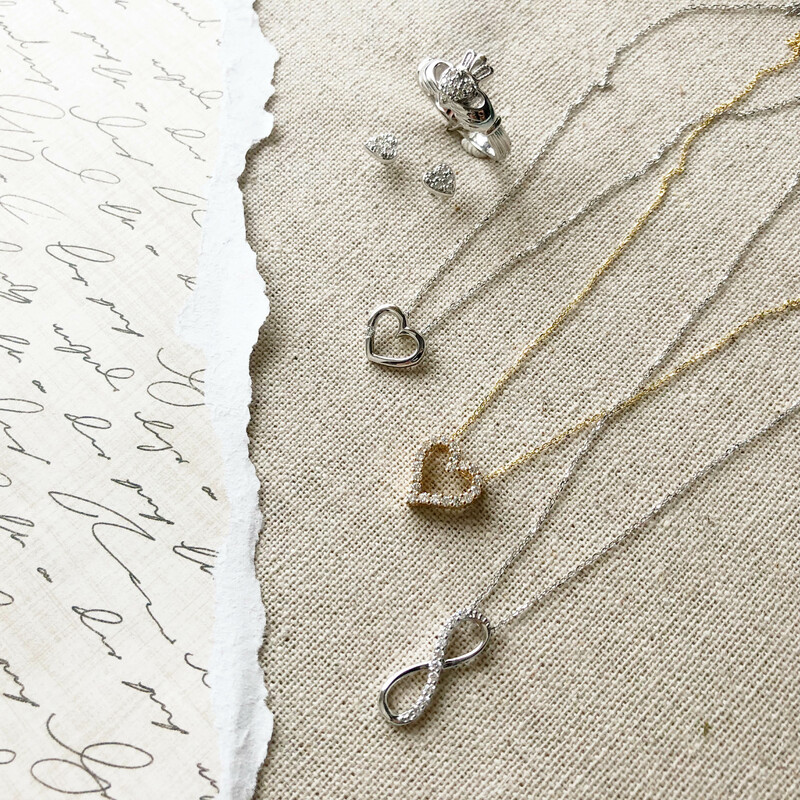 We think pieces featuring the infinity symbol and the love knot show off your love in an elegant and classic way. The knot symbol has many connections to love and loyalty. They signify a binding of two lives and interconnection between two people. They are complete loops that have no start or finish, symbolizing an eternity of loyalty, faith, friendship and love. Let’s face it- as much as we love a dozen roses, even the freshest flowers will only last a week. 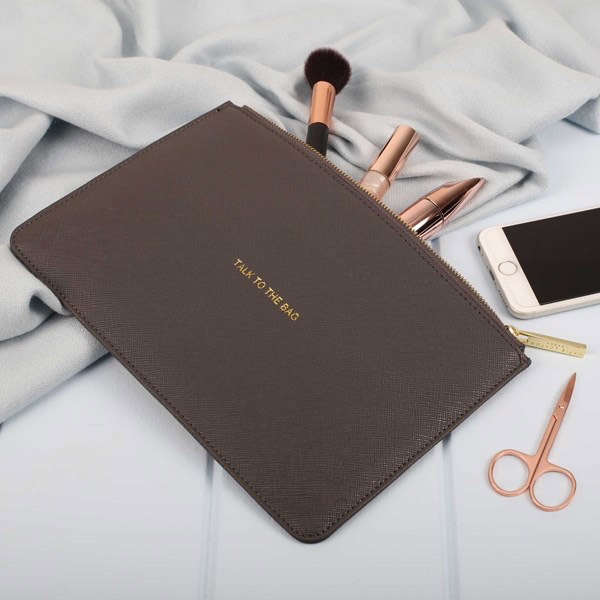 That is why we love rose gold! It evokes the same warm, fuzzy feeling but we will be able to admire it for years to come. If you love rose gold and want a piece that you can wear everyday for years to come without any worries, it is a good idea to invest in a piece of solid 14k rose gold. 14k gold has a durability that sterling silver lacks, which is important for a piece that sees a lot of wear. Additionally, the beautiful rose color extends through the whole piece, so the finish can never “wear off” like it does in plated pieces. 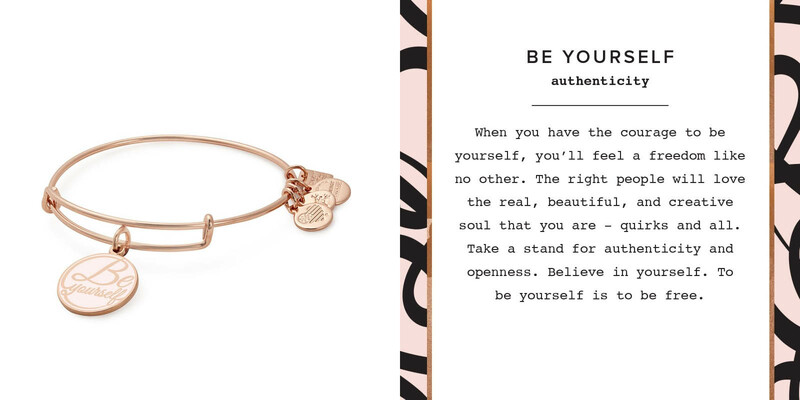 For the more budget-conscious or casual rose gold wearer, Pandora has an option called Pandora Rose. 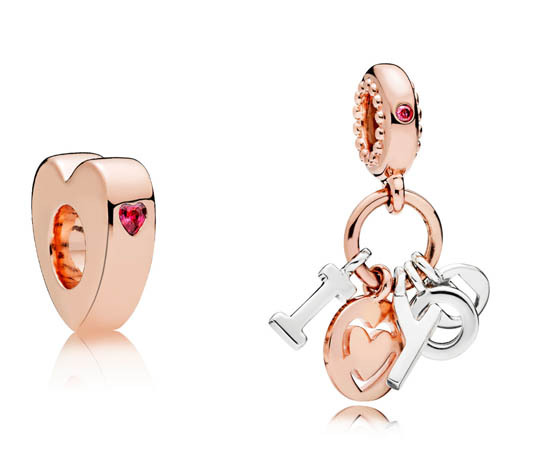 While not actual rose gold, it is given a rosy hue by adding copper to sterling silver. Although they will not maintain their look for as long as a true rose gold piece, Pandora Rose is a great way to add a touch of rose color to your jewelry wardrobe without investing in a 14k item. 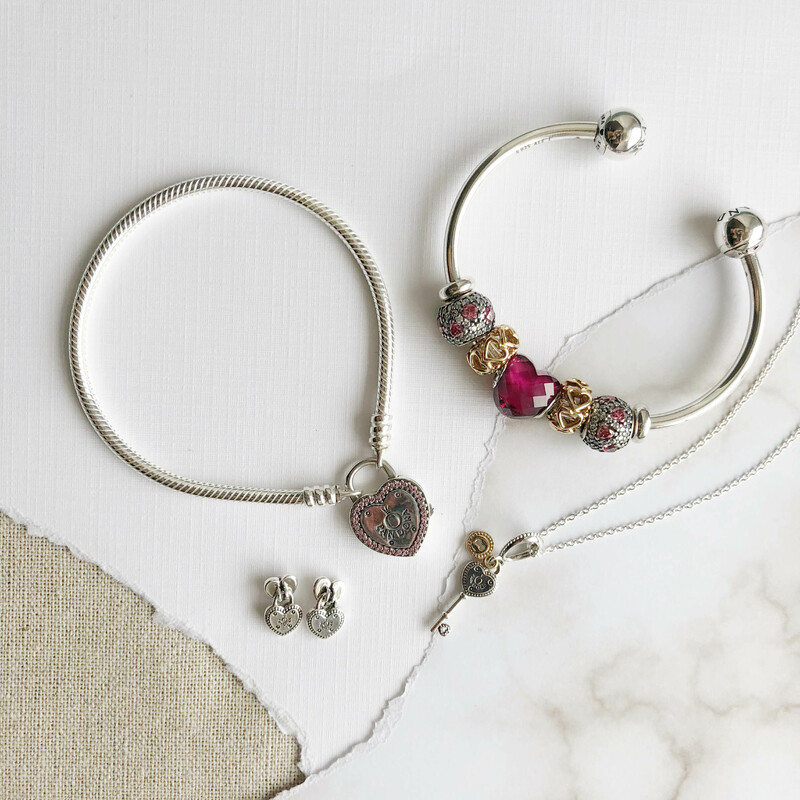 Left Picture: Open Bangle w/Sparkling Ends ($125) styled with Pandora Rose Inspiration Within ($50), Silver Glitter Ball ($40), and Pandora Rose Beaded Heart ($40) charms. 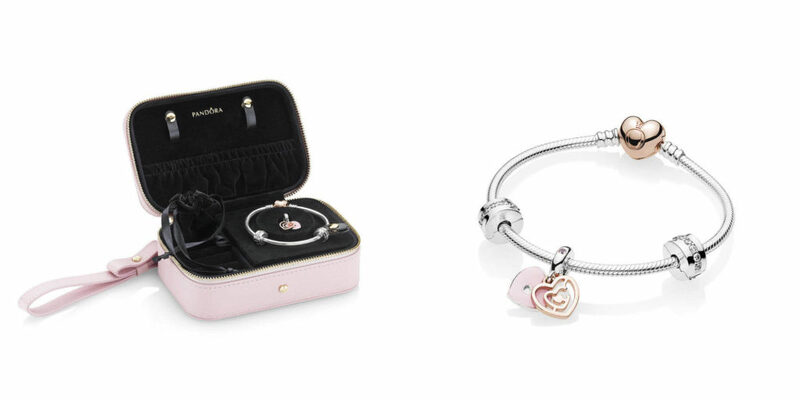 Pandora Rose Open Bangle ($200) styled with Pandora Rose Galaxy ($75) and Pandora Rose Radiant Hearts ($100) charms. You may think we are speaking metaphorically, but we are not– celestial themed jewelry is all the rage! From influencers and celebrities on your TV or favorite blog to your neighborhood trendsetter here at home, jewelry that reflects the beauty of the starry skies is everywhere. We love the idea of taking this popular trend and making it mean something special this Valentine’s Day! For those of you who love to your local community as much as the far-away celestial wonders, our WinterLemon jewelry features many beautiful star-themed designs and is made locally in Bethlehem! Diamonds may have token the throne as the queen of stones in the today’s eye, but sapphires have a long history in the realm of romance and royalty. Long thought to symbolize truth, sincerity, nobility, and faithfulness, the sapphire stands out with its vibrant color. Like the diamond, sapphires have a high hardness and are able to stand up to heavier wear. The sapphire is making a comeback in bridal jewelry in modern times, spearheaded by the gorgeous sapphire engagement ring worn given to Princess Diana, now worn by Duchess Kate Middleton. Prefer a more vintage look? Check out our great sapphire estate pieces! A great way to complement your loved one’s sparkling personality is with a piece of jewelry that shines brightly as well. While rose gold and yellow gold have been gaining popularity, bright white gold and silver bring their own special radiance. Sparkling statement and stacking rings are also a great way to bring a bit of bright silver into her life! Romance is more than a feeling that happens around Valentine’s Day- it’s a style! The romantic style often tends towards sentimental, vintage and nature-inspired themes. 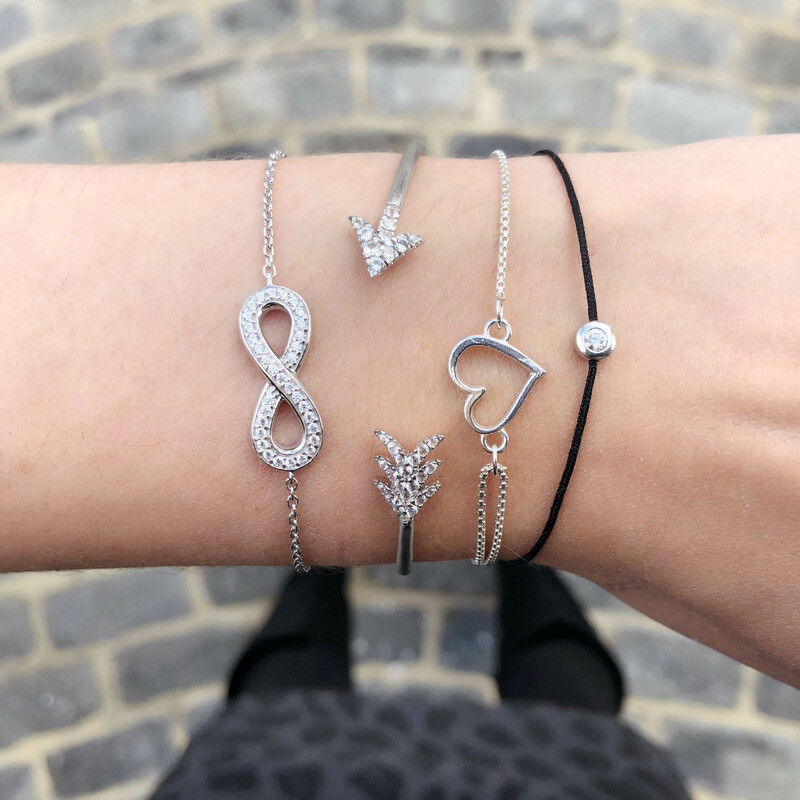 Pieces that go beyond the ordinary will give her those fairytale feels! 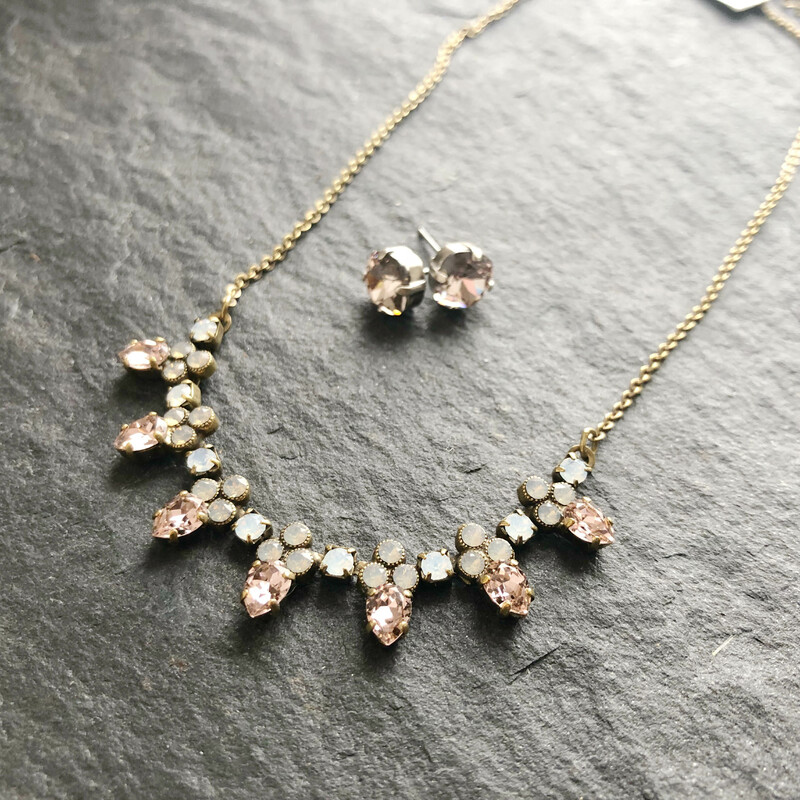 We especially love the mix of modern and vintage in Sorrelli jewelry’s statement necklaces for the girl with romantic tendencies. Sethi Couture’s True Romance and Enchanted Garden collections are the embodiment of the romantic jewelry genre. Studded with natural colored diamonds in beautiful floral and calligraphy inspired shapes, it is no wonder their pieces have become a staple on the Oscars red carpet! Not everyone enjoys a romantic flourish or symbolic sentiment. Sometimes it is best to stick with the classics- there is a reason they have lasted so long! For the lady with a classic style, simple silhouettes in understated sizes and settings are a fitting choice. Because classic styles withstand the changing trends, a good classic piece is an important investment. A well-loved piece that is built to withstand years of wear brings joy not only to the original wearer, but can be handed down as an heirloom. For the newly engaged, this Valentine’s Day may feel more momentous than others. The excitement of planning a life together with the one you love is something at the forefront of your mind. Acknowledging that anticipation is a wonderful way to make their Valentine’s Day extra special. One fun idea is to fill one of her wedding day must-haves! Sorrelli is well-known for their bridal jewelry- we love their light blue pieces as a fun way to add that something blue! If you are shopping for wedding bands, our Estate Collection pieces can give her a something old that really sparkles. If you want your significant other to design their own perfect engagement ring, we are happy to help! Give us a call to set up an appointment for a custom design consultation with our owner, Gary Werkheiser. 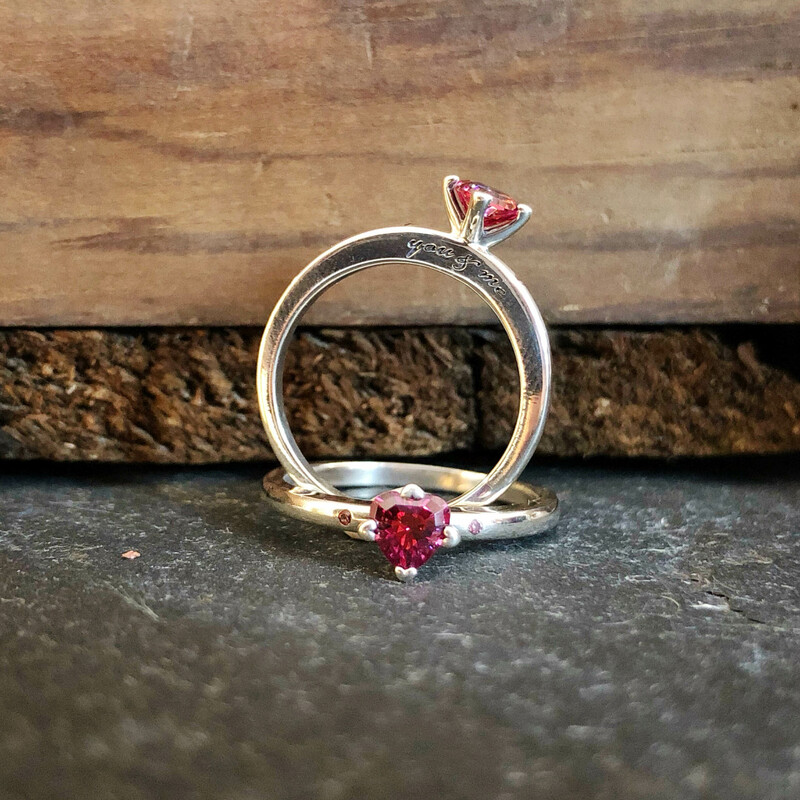 Our jewelers have made some stunning custom pieces and can work with you to find the perfect design within your budget. If you are engagement ring shopping with a girl who likes to think outside the box, we have some great alternative bridal selections as well! Not all Valentine’s Day gifts need to celebrate romantic love. Sometimes it is just as important for a mom or dad to give a small sentiment to remind their children that they will always be loved unconditionally. We love the messages of some of our WinterLemon Wellness collection, reminding our girls to love themselves and have confidence that they are enough. Our Wellness Collection gemstone bracelets are also a sweet gift to tell someone that you are thinking of them. 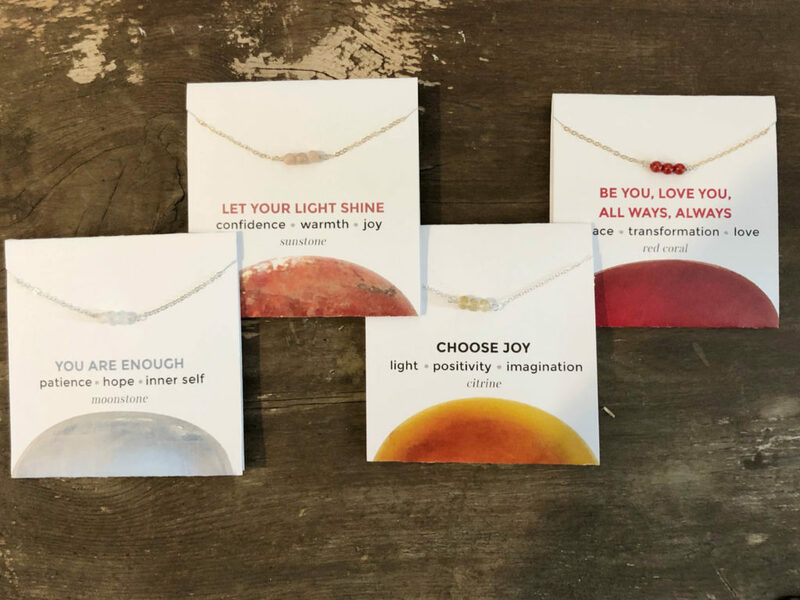 Each bracelet comes with a card that describes the properties of the gemstone- we love the idea of choosing stones that enhance feelings of peace, love, and self worth. 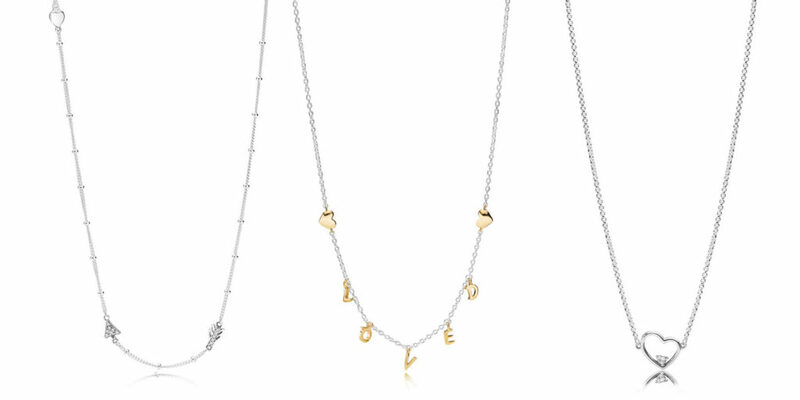 Our side-by-side and linked love necklaces are also a fun way to celebrate the love of a mother and daughter. Valentine’s Day is just around the corner, and love is in the air! 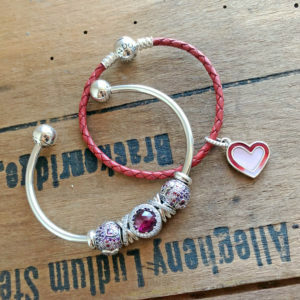 The new Pandora Valentine’s Day collection has arrived and features a fun mix of new colors, textures, and innovations. This year’s collection has some unique new focuses- the path to love, asymmetric hearts, cupid and his arrow, and being LOVED. Read on for our review of all the new products! 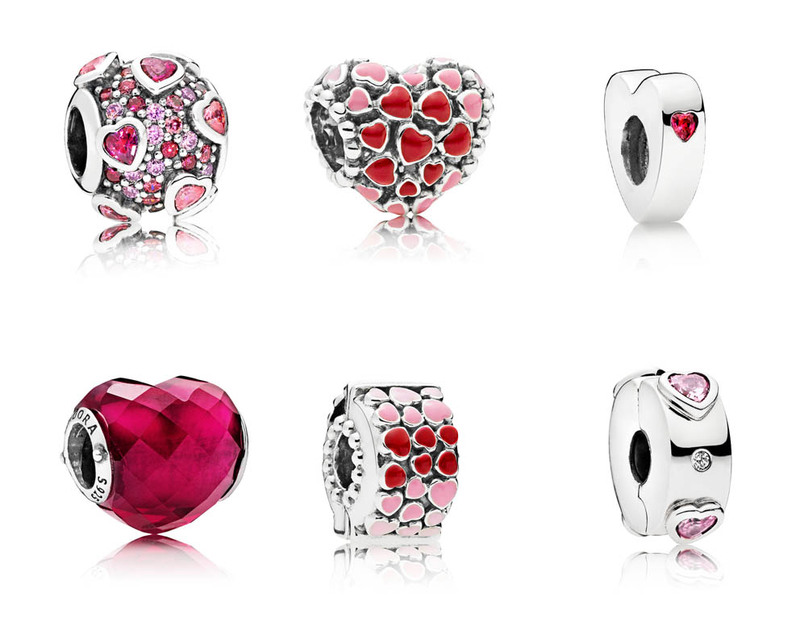 The charms in this year’s Pandora Valentine’s Day Collection really stand out in bright two-tone silver and Pandora Shine, soft pinks, and fuchsias. 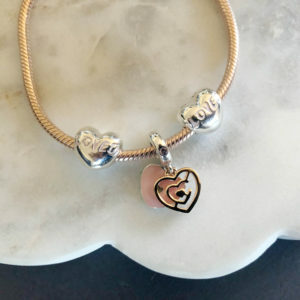 For Pandora Rose lovers, there is a beautiful new light pink enamel and Pandora Rose two-tone charm that really stands out. 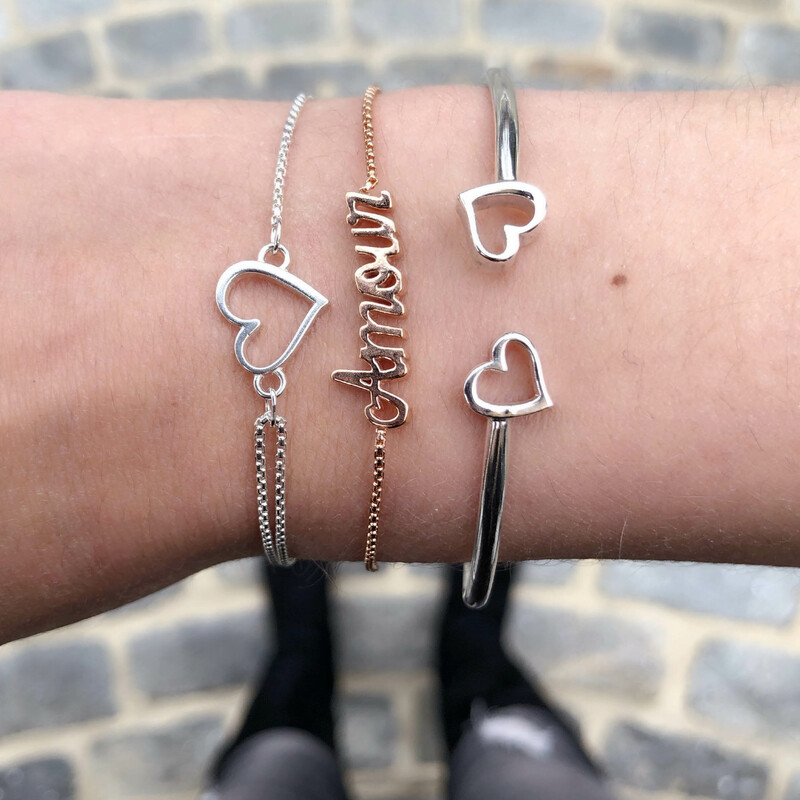 We also love the new Loved Heart clip for two-tone silver and Pandora Rose bracelets! If you are enamored of the new Pandora Shine finish, you are in luck as well! 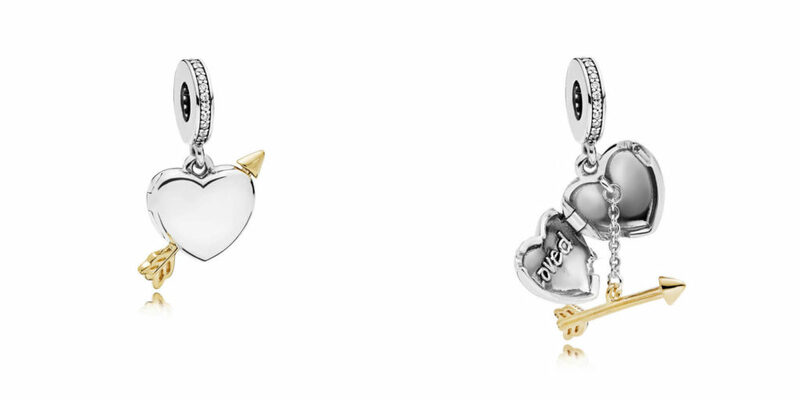 Both the LOVED and cupid themed charms are accented with the bright gold of Pandora Shine. We particularly love the Arrow of Cupid Shine charm- it looks great on the choker! 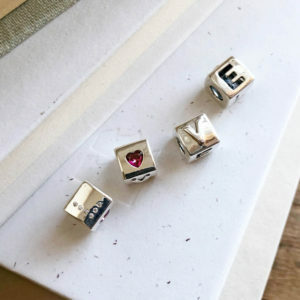 We also love the new whimsical Love Dice and Love Notes charms. Letting the bright sterling silver take center stage, they are a great choice for the collector who wants just a touch of color on their bracelet. Love Notes charm ($55)- flip the pages to read I ❤️ U! For those who want to embrace the colors of the season, the reds and fuchsias of the Asymmetric Hearts charms offer stylish choices studded in sparkling CZs or accented with bright enamel. 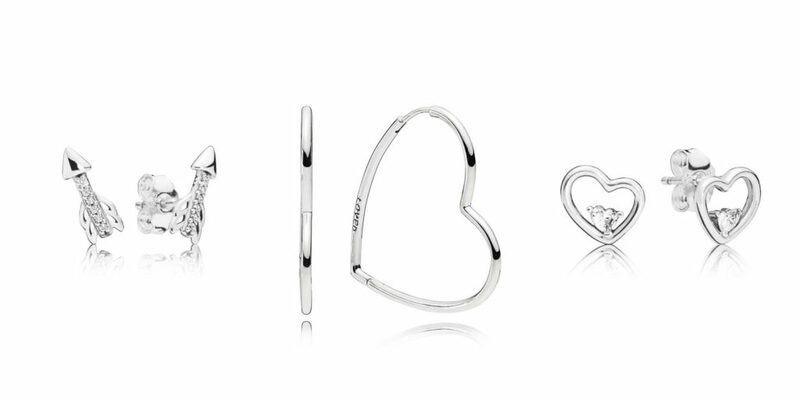 Other charms in the Pandora Valentine’s Day collection in silver and include the Sparkling Arrow & Heart charm ($55) and all silver Path to Love charm ($35). 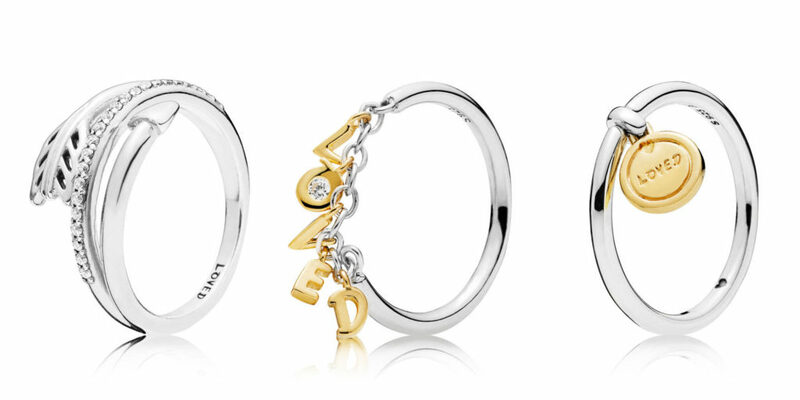 Additional charms in the two-tone Pandora Shine and sterling silver include Loved Script charm ($65). In addition to this year’s fantastic charm selections, there are are some exciting new jewelry pieces. We love the new Sparkling Arrow collection- especially that amazing ring! 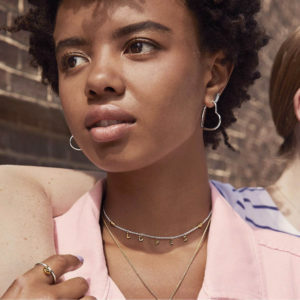 Other jewelry items include the You are Loved Heart Padlock bracelet ($75), which can be used for charms, the Small Heart of Love Hoop Earrings ($55), the Asymmetric Hearts Earrings ($50) and necklace ($75), and the Medallion of Love Ring ($55). 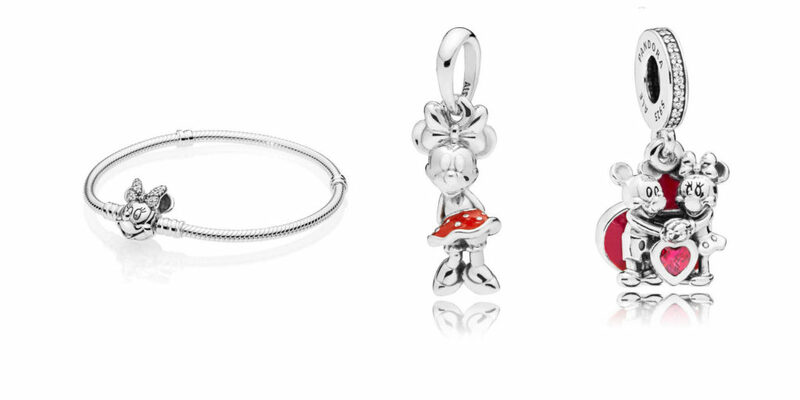 The Pandora Valentine’s Day collection also includes a mini Minnie-themed collection from Pandora Disney! 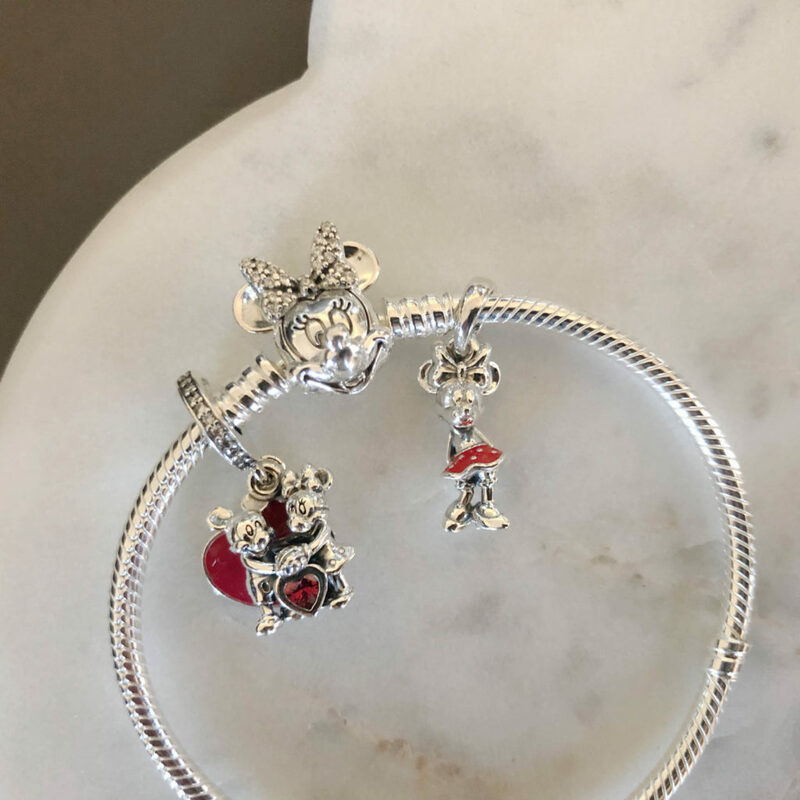 The new additions include a bracelet with a Minnie portrait clasp- a great way to wear all of your Disney charms! 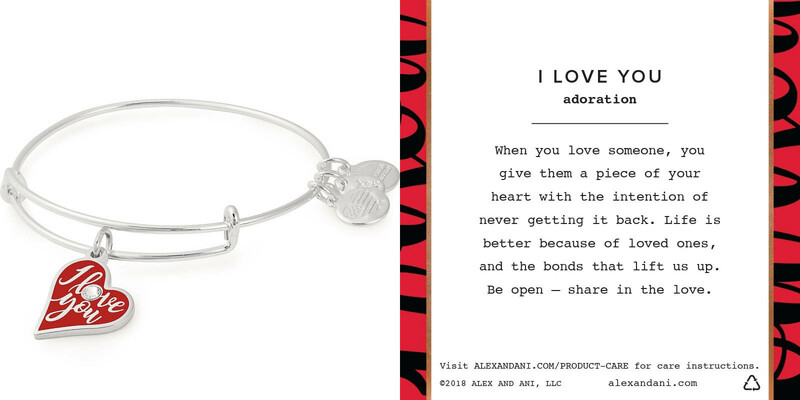 We love the Minnie and Mickey With Love charm with its bright fuchsia enamel background. The Minnie’s Polka Dots pendant is also adorable! 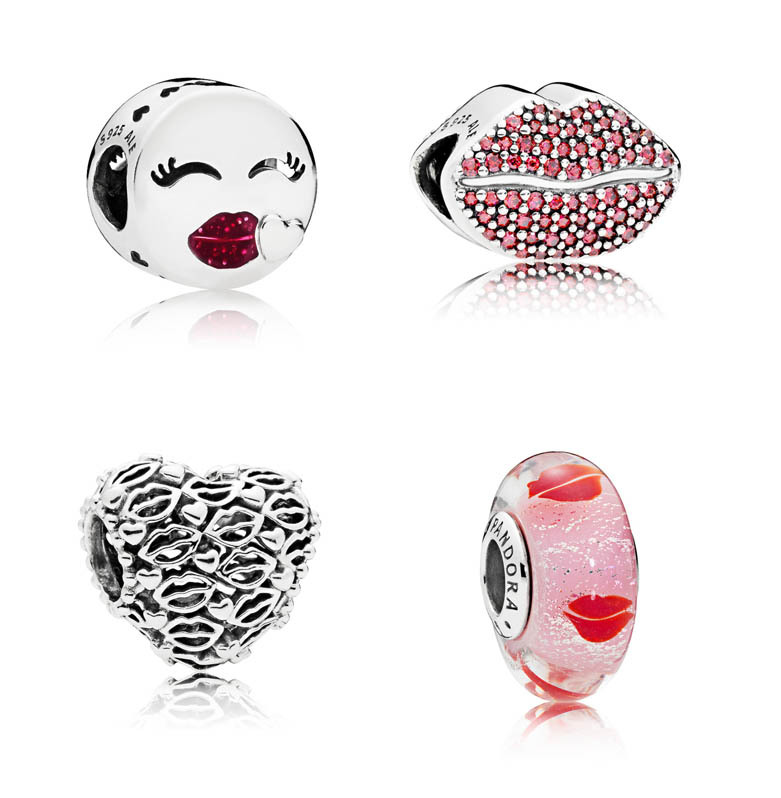 As always, Pandora has released some great value sets with their Valentine’s Day collection. The beauty of their gift sets is that you get all the pieces you need to start your set at a lower price than the items would be individually! 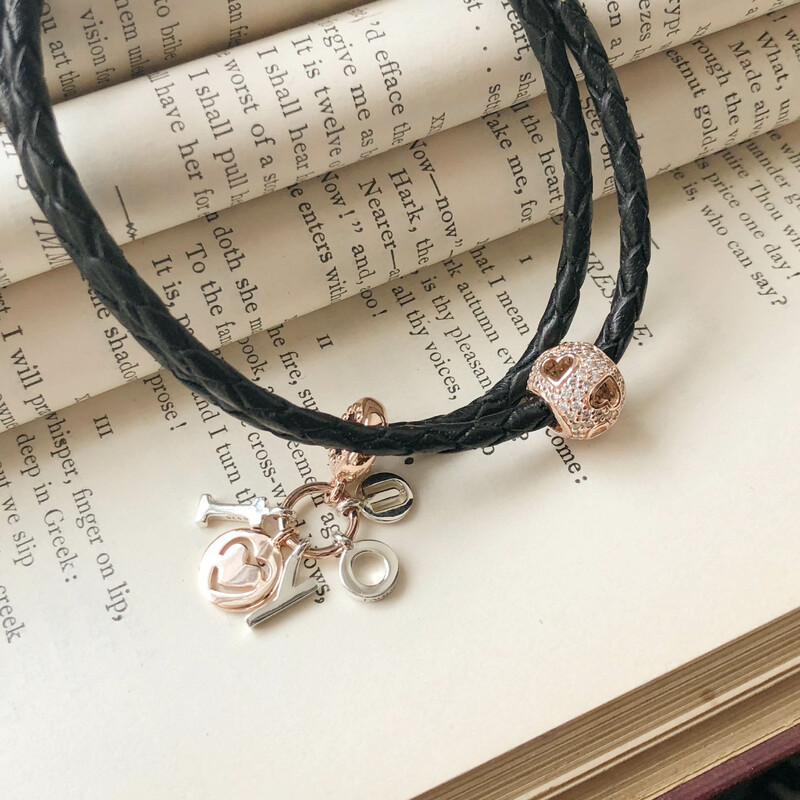 This year’s bracelet gift set includes the new two-tone silver and Pandora Rose Path to Love charm, a Pandora Rose heart clasp bracelet, and two Shining Path clips. It is packaged in a beautiful light pink travel jewelry box- great for storing all of your Pandora treasures! 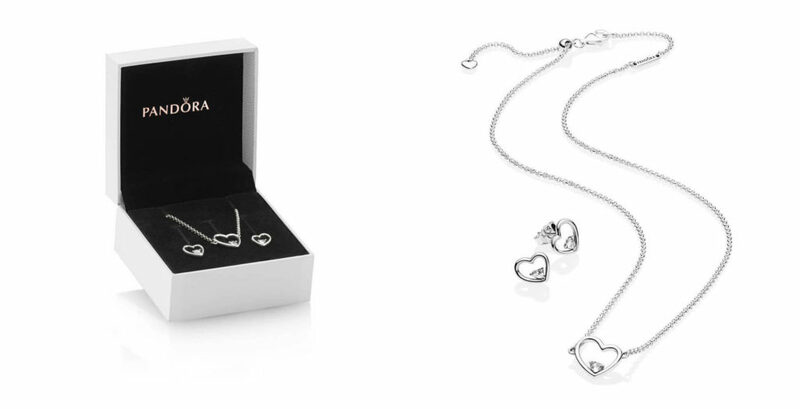 The jewelry gift set this year includes the Asymmetric Hearts of Love stud earrings and necklace. The necklace is adjustable in length, making it perfect for any outfit! 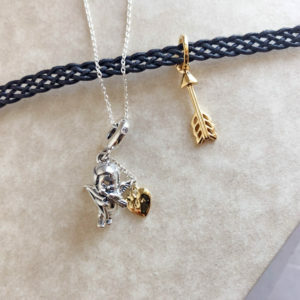 There is also a Limited Edition collector’s charm this year, the Arrow of Love charm ($80). 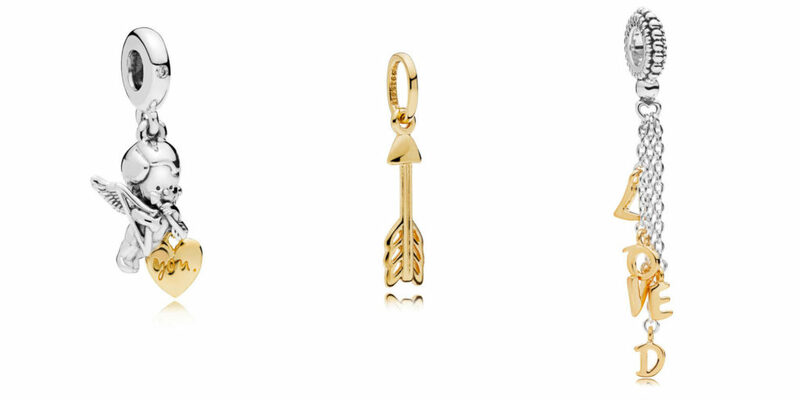 This charm is shaped to look like a heart pierced by cupid’s arrow. Open the locket-style charm to let the arrow dangle down and reveal a secret message inside! 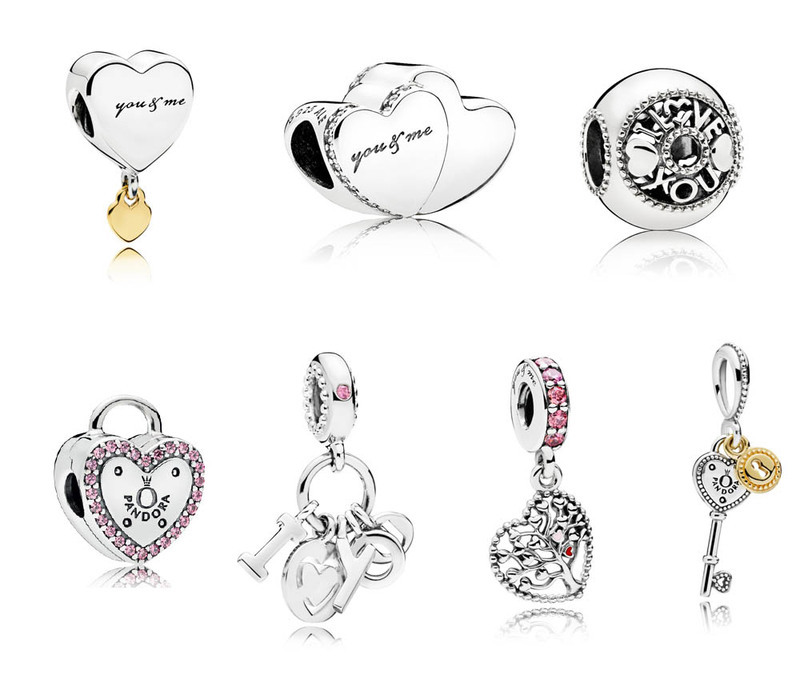 This year’s Pandora Valentine’s Day collection also introduces the 2019 Club Charm and a new Pandora Friend. 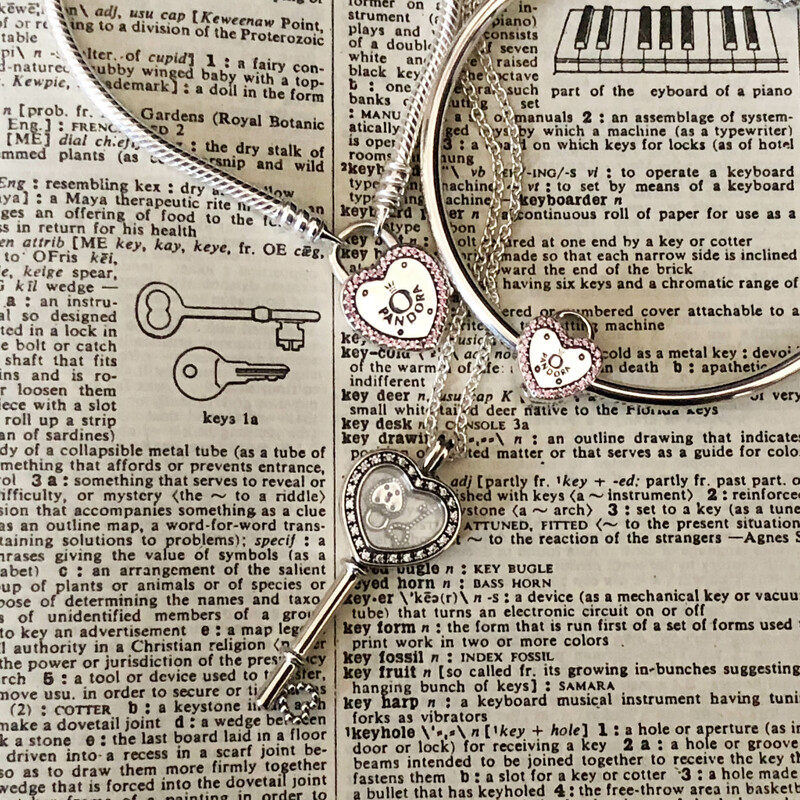 The club charm is the first two-tone silver and Pandora Rose addition to the club collection. Shaped like a treasure chest, it opens to reveal the message “Be Yourself.” As always, the club charm has a 0.1ct diamond. 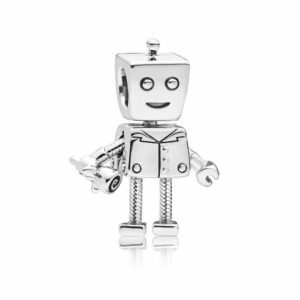 Our newest Pandora Friend is Rob Bot, faithful boyfriend to everyone’s favorite robot, Bella Bot! Rob Bot is ready for Valentine’s Day in his finest formal attire with a rose in his hand. 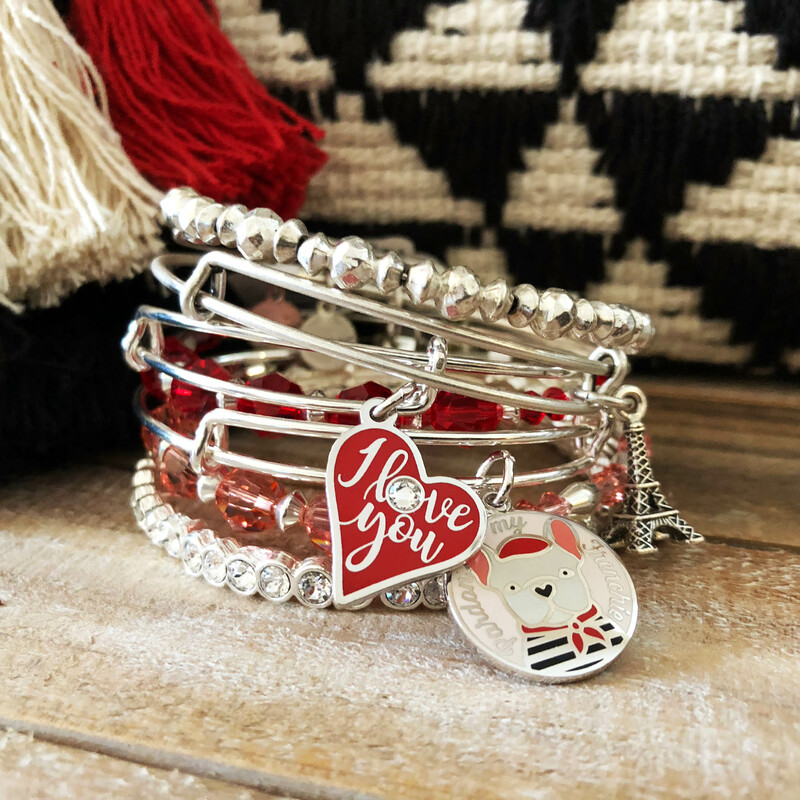 We hope you have enjoyed our overview of this year’s Pandora Valentine’s Day collection and found some fun new items to add to your wish list! Did you find something you need to have? Send us an email or give us a call at 610-691-2270 and we can check our stock and hold it for you! We can also ship any item for you and offer free shipping in the continental US for orders over $50. 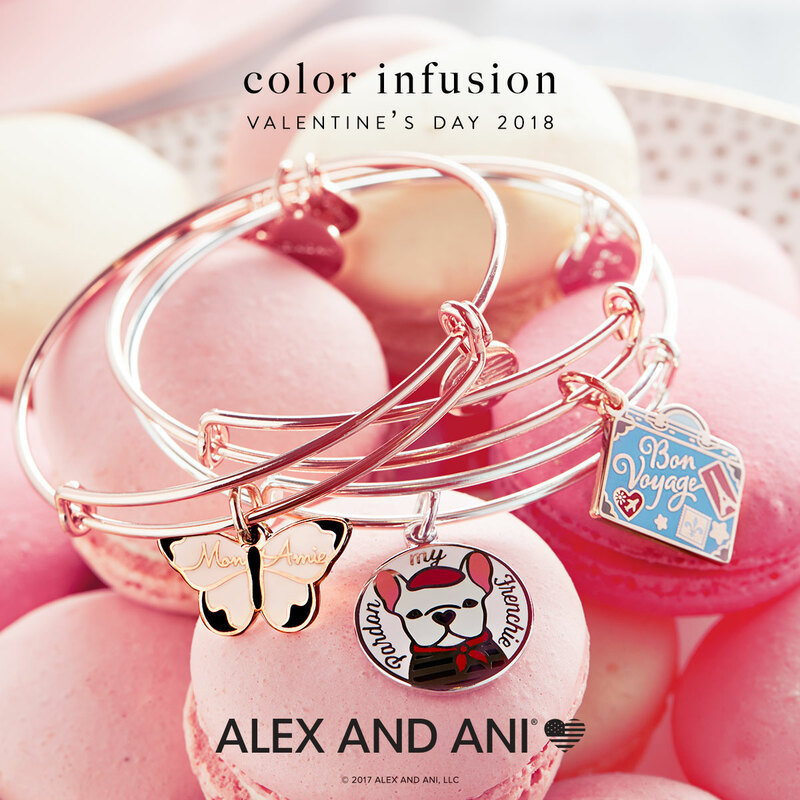 The Alex and Ani 2018 Valentine’s Day collection is here! Gathering inspiration from rosy hues and Parisian symbols, these Limited Edition pieces are must-haves for the romantic at heart. 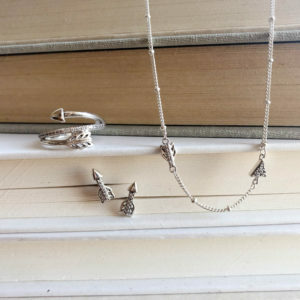 This year’s additions include new pieces in the Core, Precious, and Charity by Design collections, as well as some great sets and a Harry Potter inspired bangle! The Valentine’s Day Core collection pieces this year are inspired by icons of love. 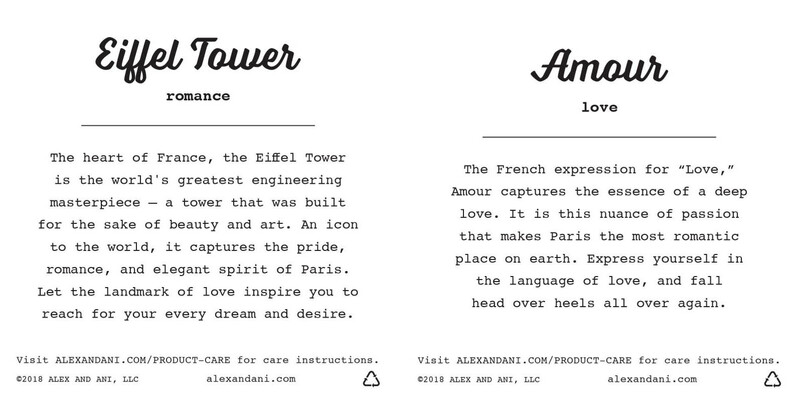 Available in Rafaelian silver and Rafaelian rose gold, two Parisian inspired bangles, the Eiffel Tower and Amour, evoke the romance of the City of Lights. 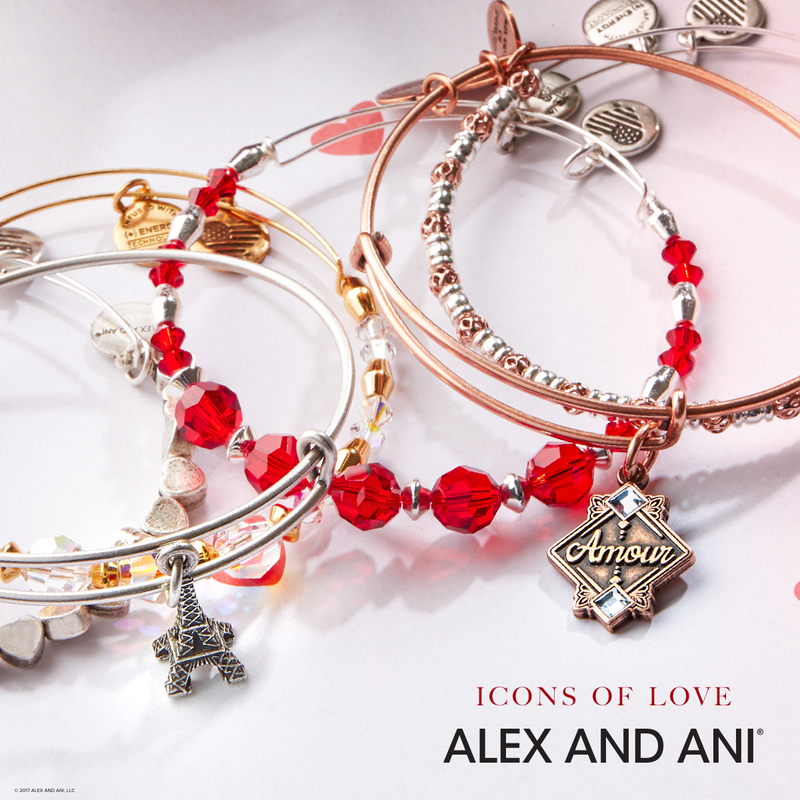 Continuing with the Parisian theme, this season’s Color Infusion limited styles have some fun colorful charms with French phrases. The Mon Amie butterfly is a great neutral piece in shiny rose with cream and black accents. 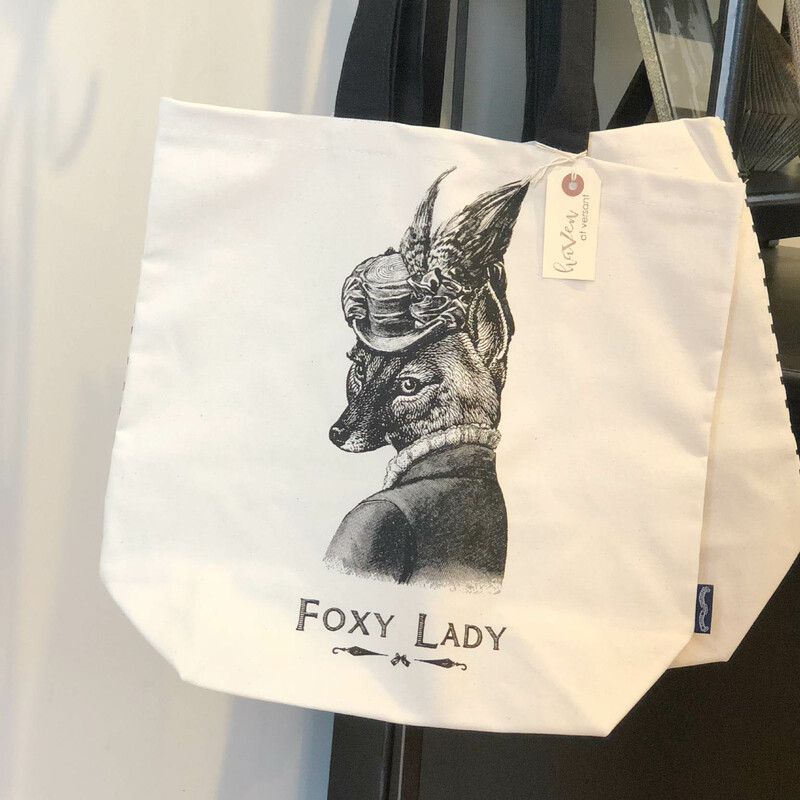 Meaning “My Friend” in French, it makes a great Galentine’s gift! We also love the adorable French bulldog with beret. 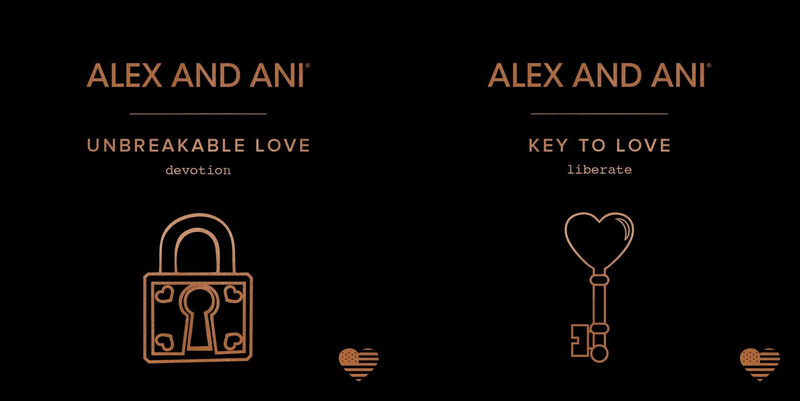 In addition to the French pieces, Alex and Ani has added the new Key to Love and Unbreakable Love lock symbols. 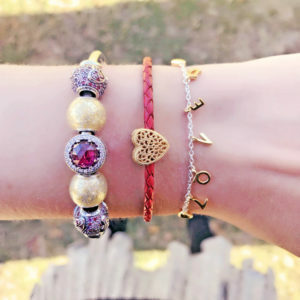 Add some fun beaded styles and they make a great Valentine’s Day set! The key and lock bangles are available in Rafaelian silver and gold and will become part of the permanent Core collection. 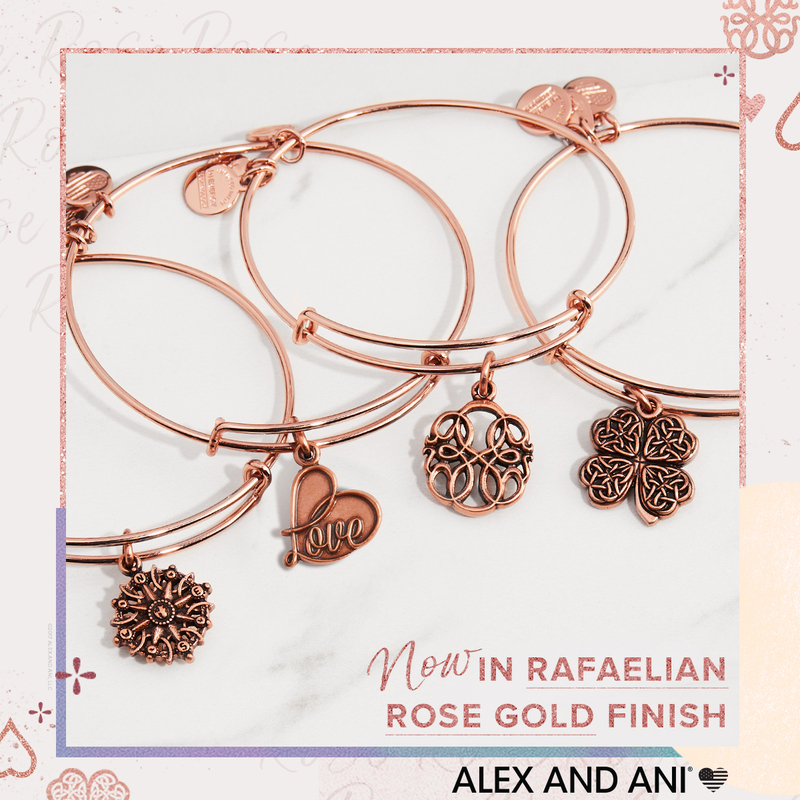 In addition to the new symbol additions, Alex and Ani has released some of it’s most popular Core symbols as limited pieces in the Rafaelian rose gold finish. These pieces include the Compass, Four Leaf Clover, Path of Life, Love, Evil Eye, Hand of Fatima, and Calavera. 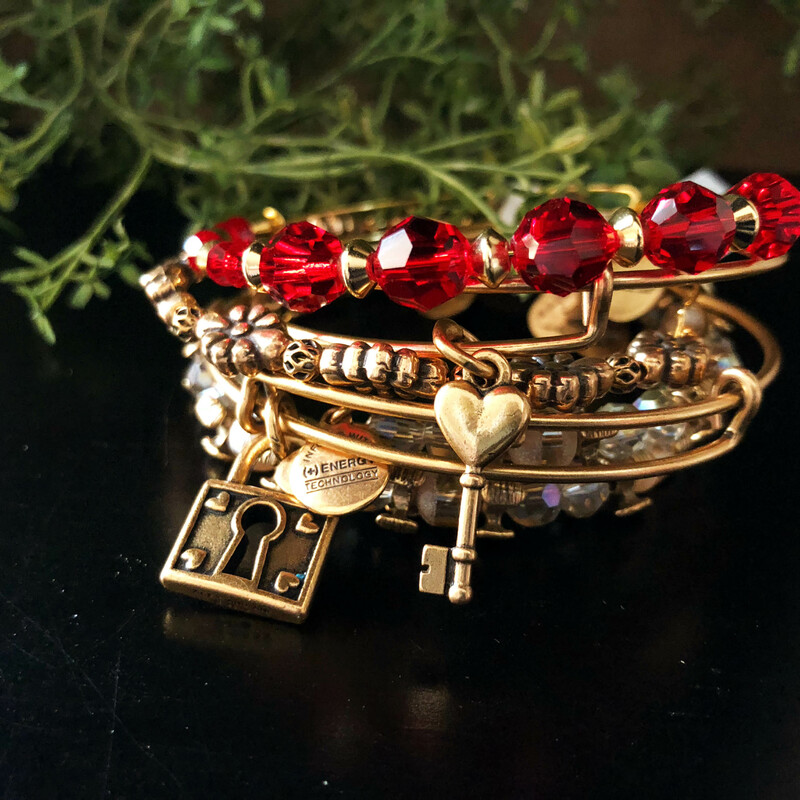 Three new Charity by Design pieces have been developed as part of the Valentine’s Day collection. Be Yourself, giving back to the PeaceLove foundation, reminds you to love who you are, as you are. PeaceLove’s purpose is to empower people to share their mental health stories and create peace of mind through expressive arts. The newly design Best Friends set of two continues to give back to the American Heart Association. 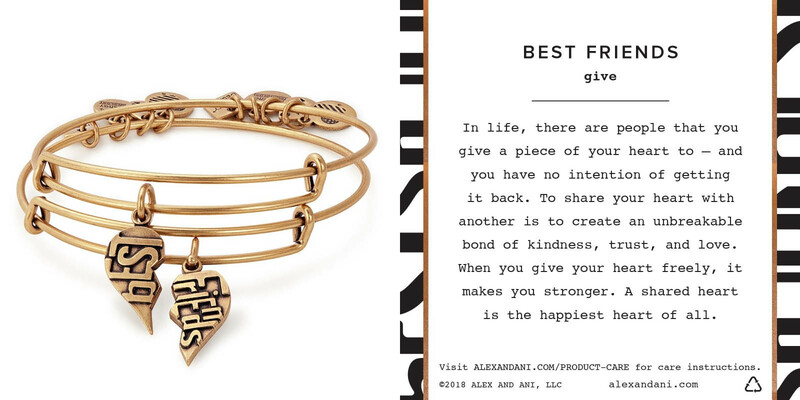 The best friends set celebrates the unbreakable bond between friends. 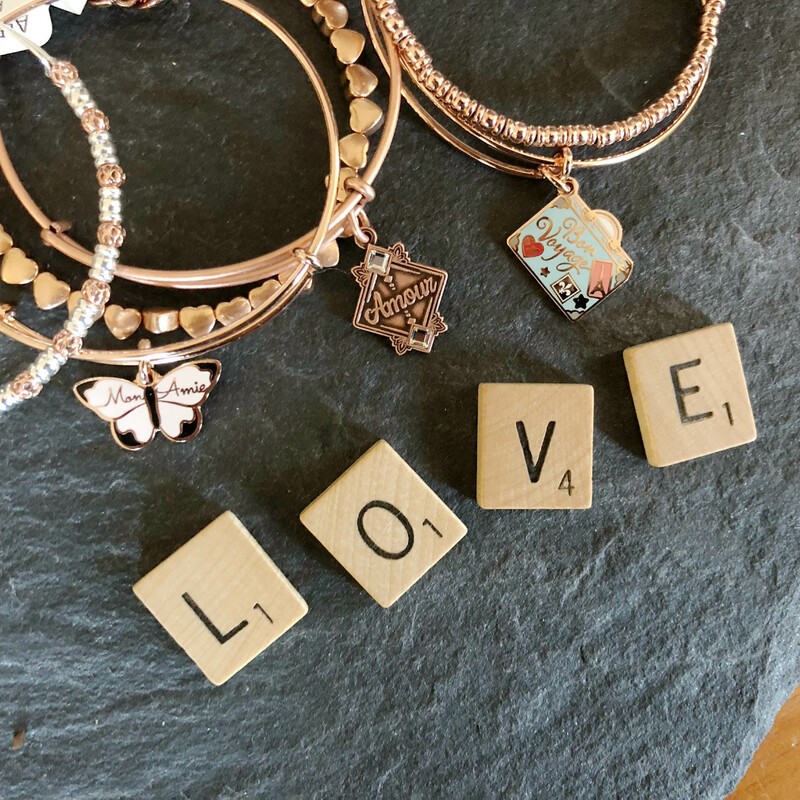 The I Love You bangle gives back to support Unicef, the global children’s organization that helps children survive and thrive. 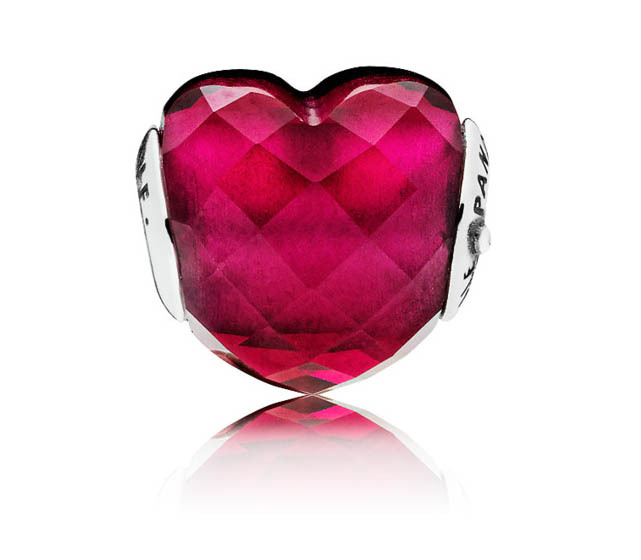 Embellished with bright red enamel and a swarovski crystal, this is a great addition to any Valentine’s charmed arm! The Precious collection includes pieces made from sterling silver and gold/rose gold plated sterling silver. 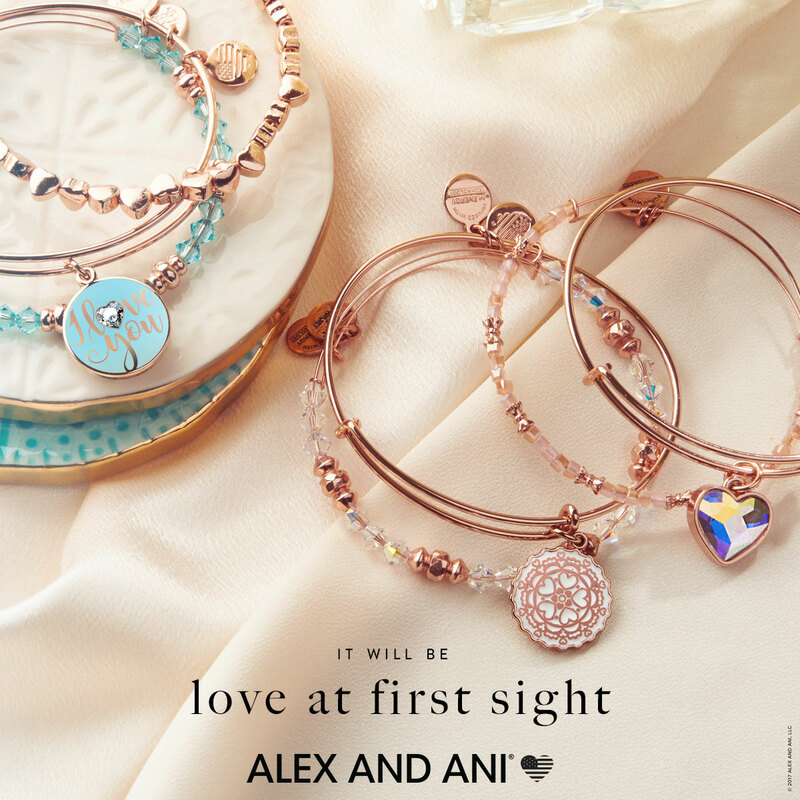 In this year’s Limited Edition precious collection pieces, Alex and Ani has continued their theme of romantic icons. The most traditional Valentine’s symbol, the heart, adorns some beautiful cuff bracelets and rings, necklace, and pull-chain bracelet. 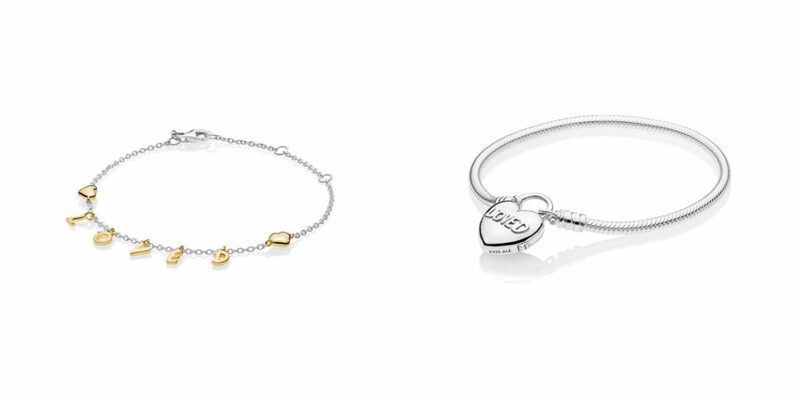 The heart pieces are available in both sterling and gold plated sterling. 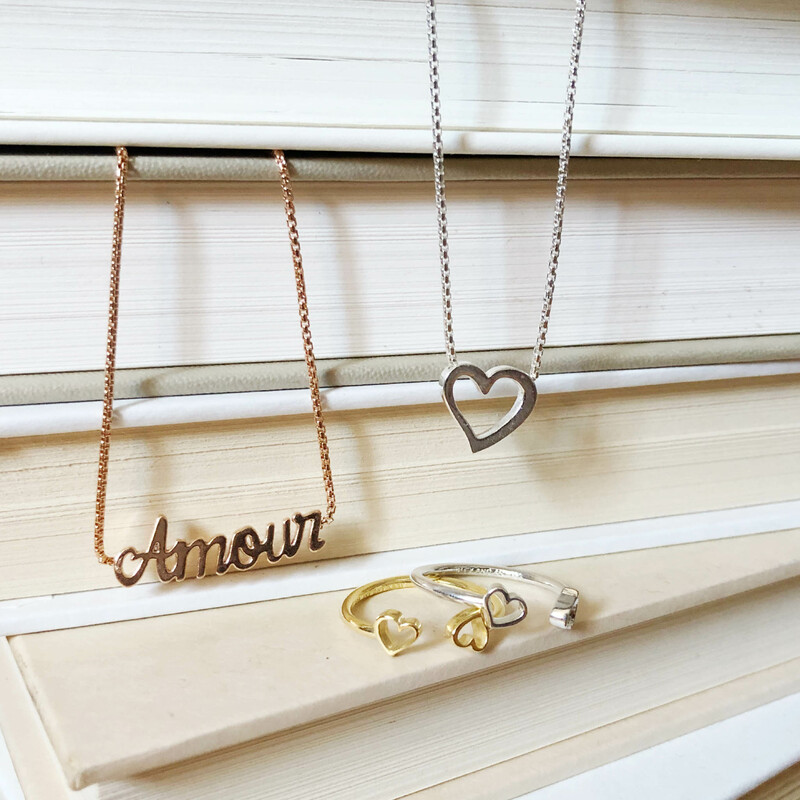 A pretty script “Amour,” French for love, is the centerpiece of a rose-gold plated necklace and pull-chain bracelet. Similar in style to nameplate necklaces, this is a really pretty piece to show someone that they are loved! 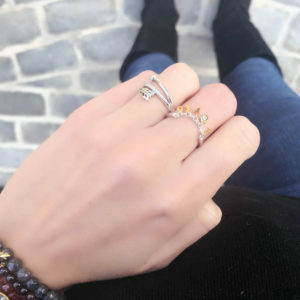 We love the look of stacking together the rose gold plated and sterling pieces for a mixed-metal look. Add a cuff for a little variety and you have the perfect stack! Don’t want to go through the hassle of creating your own stack? Check out one of the curated sets! These pieces are designed to be worn together, mixing complementary bangle and beaded styles. 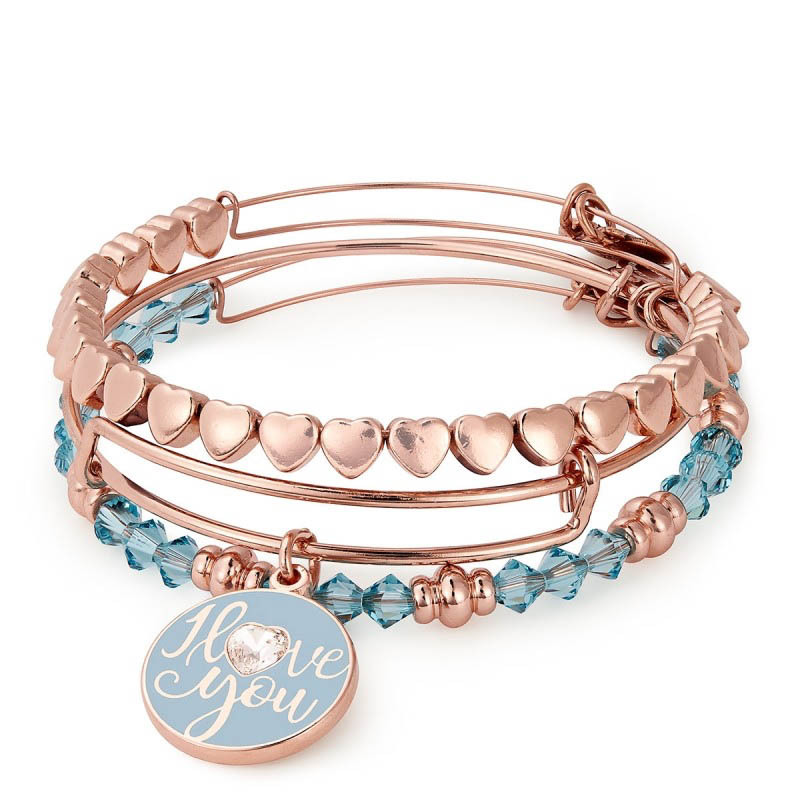 The rose gold-finish I Love You set of three includes a Swarovski beaded bangle in sky blue, the new heart beaded bangle, and a color infusion I Love You bangle with light blue enamel. 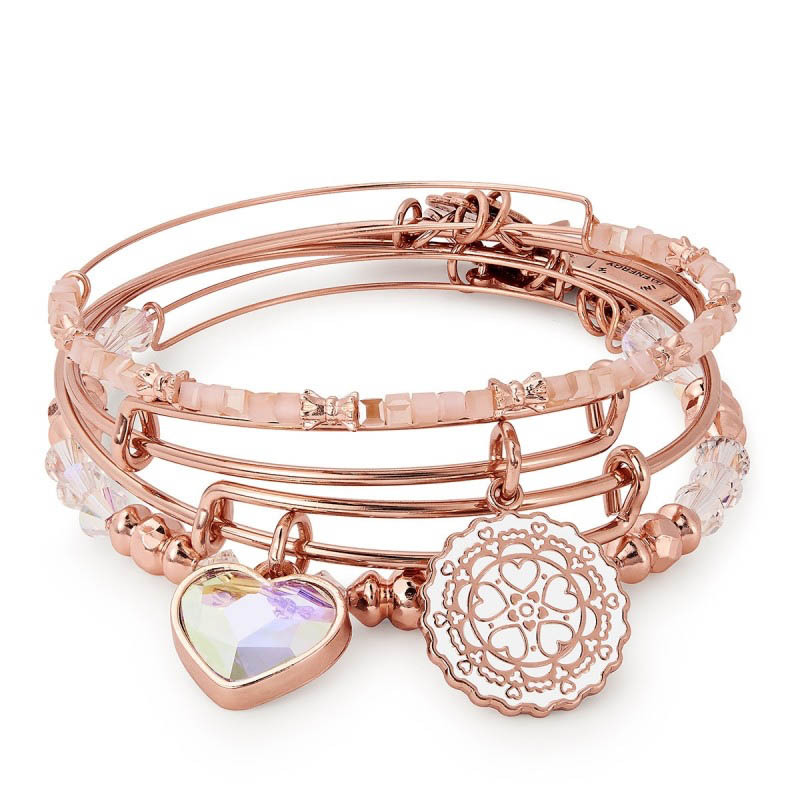 The bangle and Swarovski styles are exclusive to the set and not sold separately. 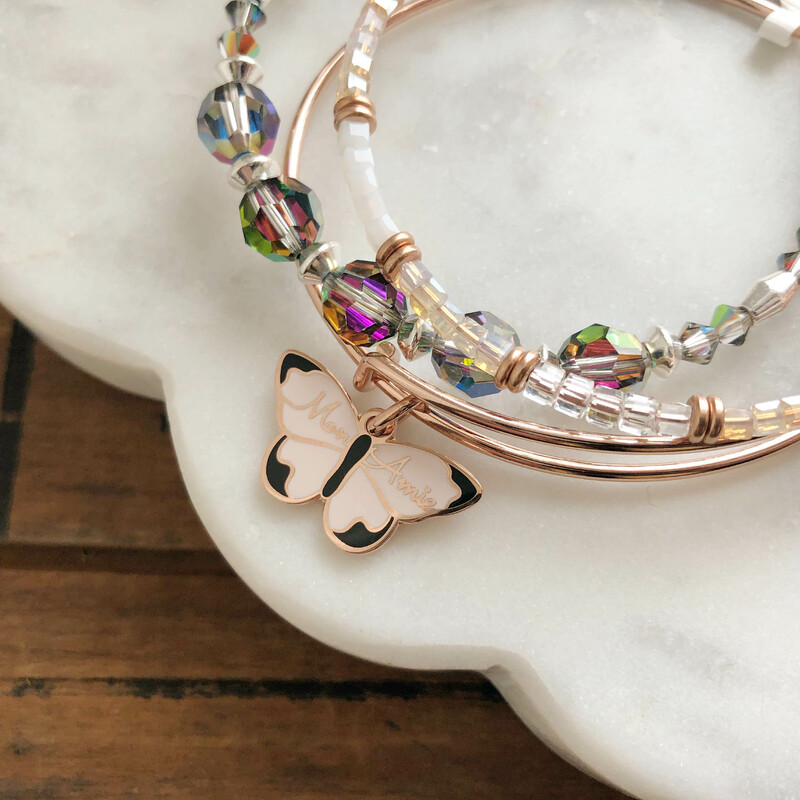 The Paper Heart set of four includes two Swarovski beaded bracelets, a heart bangle with opalescent Swarovski crystal, and the Paper Heart bangle with bright white enamel. All of the pieces in this set are exclusive to the set, making it a great collectible group! 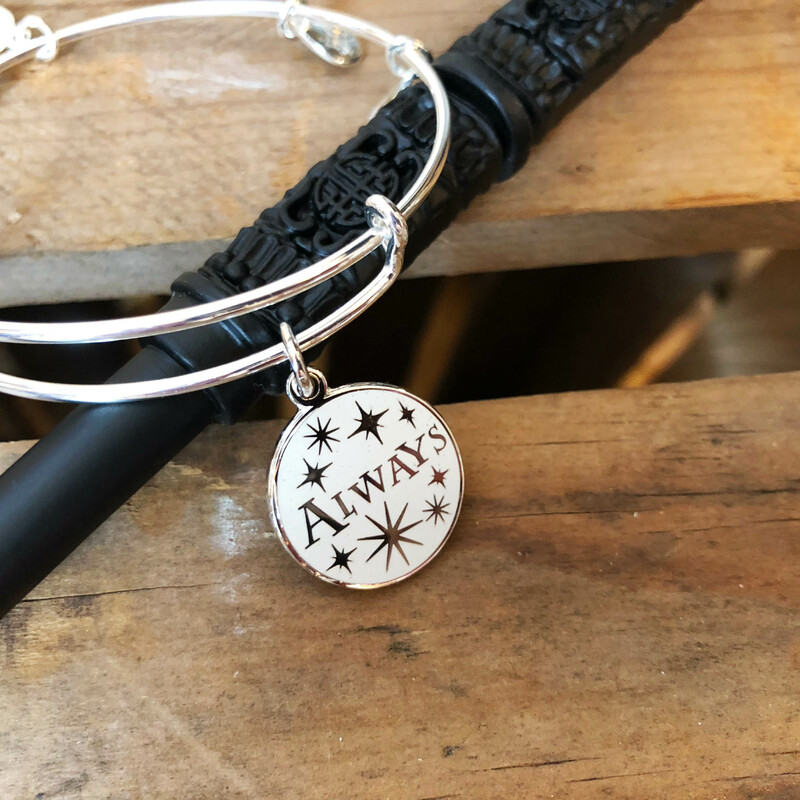 The last addition to the Valentine’s collection is the new Harry Potter “Always” bangle. This limited piece is inspired by a passage in the last book and is a wonderful way to surprise your Harry Potter loving sweetheart. 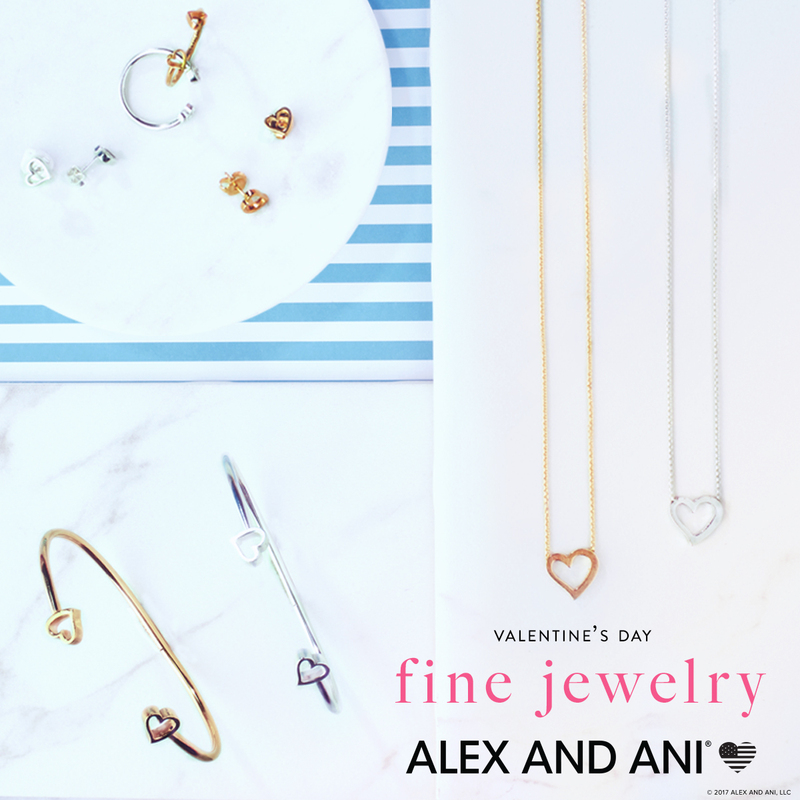 We love all of the new pieces in the 2018 Valentine’s Day collection and hope that you will too! Stop by to see them all in person. 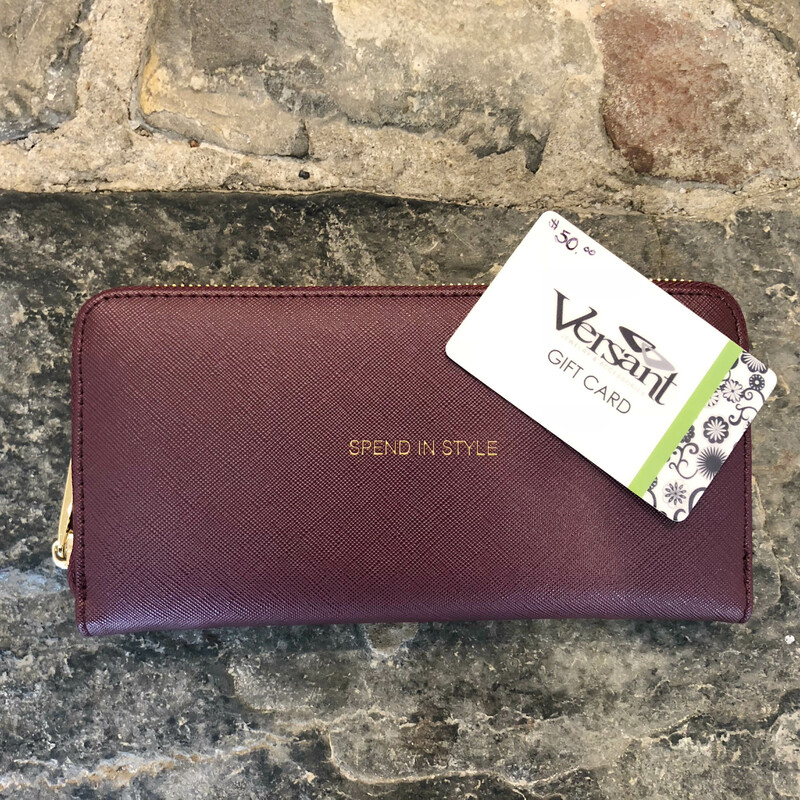 As always, we are grateful to all of our customers who choose to #shopsmall at Versant and support our local business.